The busbar power outlet plug-in units can easily be added any place where power is needed in the data centre or server room. A simple turn-and-lock plug head allows for continuous access along the busbar track and easy installation with the rotation of the plug by 90 degrees. The power outlets can be fixed anywhere and you are not limited by predefined access slots as with traditional busbar systems. There is no limitation in the number of power outlet plug-ins along the track. 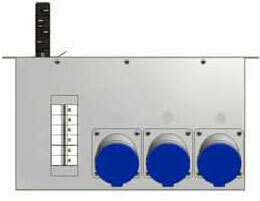 Integrated breakers configured to your specifications assure safety and protection throughout the system. Additional plug-ins can be added any time – even in a ‘hot’ environment. The flexible busbar design, redundancy, high scalability and optional current monitoring are some of the reasons why Fortune 500 companies around the world use Starline Track Busbar. Of course there are also economic factors why well known companies rely on the Starline system; the long durability and reusability of existing components ensures lower TCO in comparison with traditional power panels and cable whip solutions. 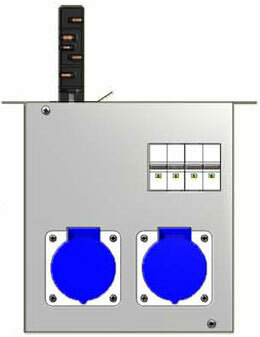 There is no need to call an electrician to add additional plug-ins or connectors – for example addition power to an additional rack. Installation of the power plug-in modules is done in seconds, not weeks like with traditional cable solutions. If your power or connection requirements change, it is as simple as changing the plug-in to meet your new requirements. Starline helps to keep costs to a minimum especially when changes and growth in data centres take place. The technical IT staff will have more time for other important projects. Starline Power Plug-Ins are available in numerous different sizes and versions. You can choose between single or three phase with 16, 32 or 63 Amp connections not to mention breaker or wiring configurations for your individual needs. All power outlet units have options for current monitoring, which can be displayed locally or via remote management systems. Remote analysis, power consumption tracking and alerting can be done through Starline or your own BMI system. More information about the entire Starline Track Busbar Distribution System. Find detailed information regarding the Starline Track Busbar. Starline – Your first choice, since reliable power is the beginning of it all.